Welcome to Brickipedia Reviews, a subset of the free online LEGO® encyclopedia known as Brickipedia. This reviews site is where anyone, including you, can write your own review on a LEGO® set and share your opinions with the world. This wiki is based on the MediaWiki software used to run Wikipedia, and with the help of editors like yourself, we strive to have the best LEGO® reviews out there. This month's featured review is on 75060 Slave I, written by ToaMeiko. Hi everyone! Today I'm privileged to review 75060 Slave I, the long-anticipated Ultimate Collector's Series version of Boba Fett's iconic ship. This set was kindly supplied to Brickipedia by the LEGO Group, and is set to be released in January 2015. 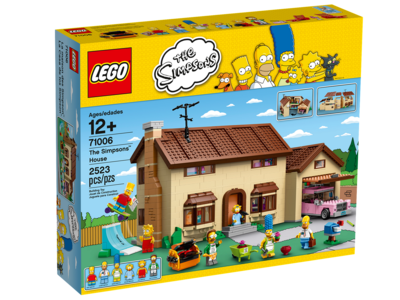 How do you rate 71006 The Simpson Family House? 47 votes have been cast since the poll was created on 07:17, 1 May 2014. This page was last edited on 10 October 2016, at 22:47.